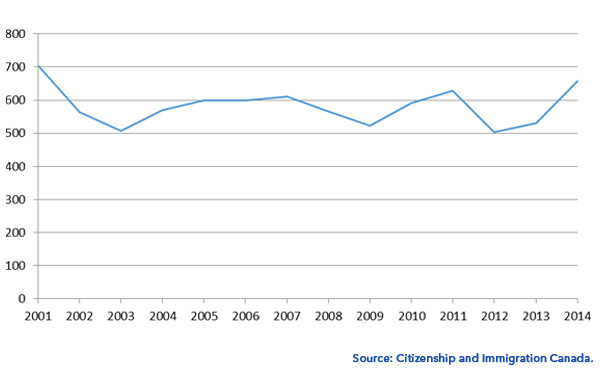 Over the period 2001-14, annual inflows of refugees in Atlantic Canada has varied between 508 and 705. There was a 7 percent decline of refugees coming into the region in 2014 compared with 2001 (Chart 1). In 2001, most refugees who arrived in Atlantic Canada were women, whose numbers were 5 percent higher than men. In 2014, this percentage was reversed when the number of men exceeded that of women by 5 percent (Chart 2). 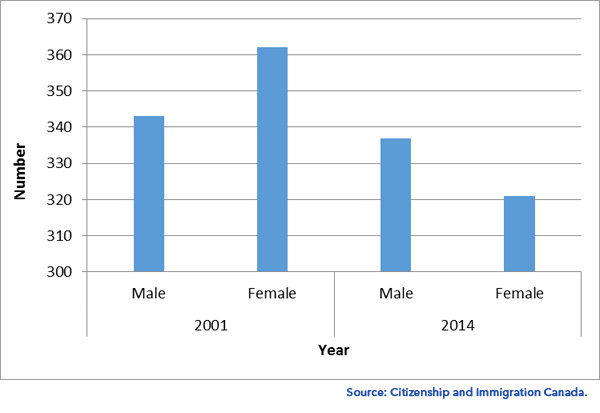 Chart 2: Gender composition of refugee inflows in Atlantic Canada (2001 and 2014). 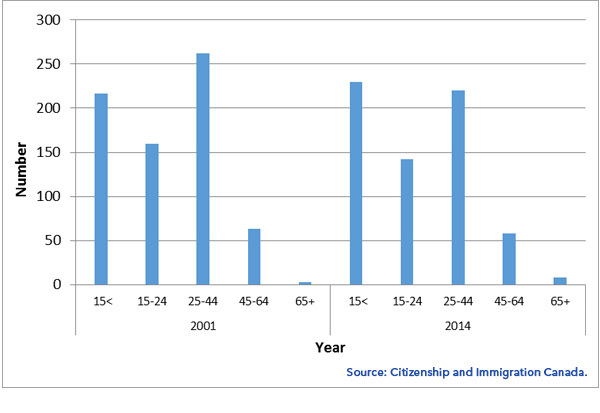 Most refugees were in the age group 15-44 at the time of arrival in 2001 and 2014. Children, those aged under 15 or less, comprised 31 percent of total arrivals in 2001 and 34 percent in 2014. (Chart 3). Chart 3: Age Distribution of Refugee Arrivals in Atlantic Canada (2001 & 2014). The top five source country composition of refugees arriving in Atlantic Canada changed between 2001 and 2014. While Yugoslavia topped the list in 2001, Iraq was the top source country of refugees in 2014 (Table 1). Most refugees arrived with high school or less education which may be partly because a significant percentage of them includes children. The percentage of those who had obtained a post-secondary education was lower in 2014 than in 2001 (Chart 5). Among those who were older than 15, about 77.5 percent arrived with high school or less education in 2001. In 2014, this percentage was 88.8 percent. 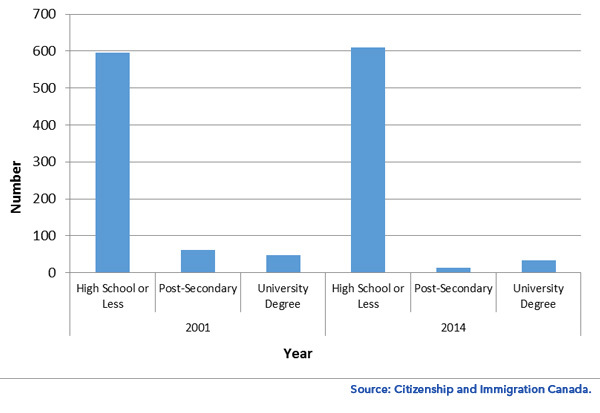 Chart 5: Refugee Arrivals by Educational Attainment (2001 & 2014).